"We Will Floor It For You!" Since 2000, Custom Flooring has been establishing the perfect foundation to meet all your needs when building a new home or sprucing up the existing. 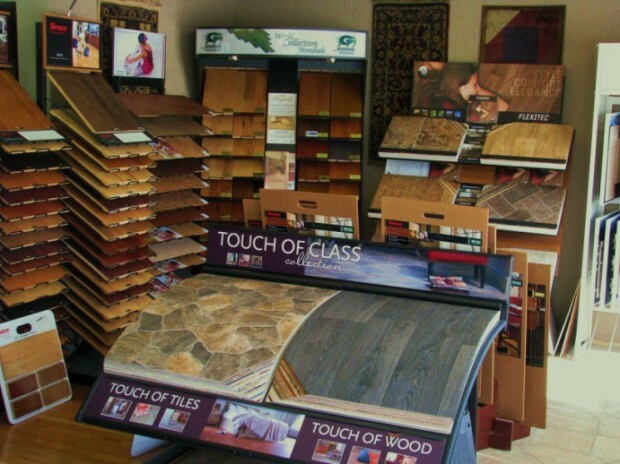 Custom Flooring is ready to help you from start to finish, while offering competitive pricing on quality products. Aside from Custom Flooring’s large selection of choices and options in flooring and with low pricing, Custom Flooring has searched and found the most qualified team that best meets all their customers’ need. It is important for Custom Flooring’s customers to be treated with the highest level of service to assure that at the end of your project, not only will you look back at remembering how stress free and enjoyable the experience was; but will also feel confident about all the decisions that you made along the way. Custom Flooring has been, and is committed to total customer service and satisfaction. Our store prides itself on our service and we back everything we sell. At Custom Flooring we also offer a full commercial department with specialty trained, professional installers and sales staff. With the know-how service and getting the job done right on time the first time, our department has enjoyed a steady growth. Our awareness of customers and the ability to adapt to their needs provide us with the will and ability to grow our business in a direction to better service everybody involved. Our partnerships with our suppliers and our customers support enable us to provide high quality at low prices. Bottom line, we are here to save you time & money! Come on down to Custom Flooring in Grunthal.